Media literacy enables people to have the skills, knowledge and understanding they need to make full use of the opportunities presented both by traditional and by new communications services. Media literacy also helps people to manage content and communications, and protect themselves and their families from the potential risks associated with using these services. 36 percent now prefer to book holidays online or by email, making it as popular as booking in person. Ofcom supports Get Safe Online, a joint effort of U.K. government and other public and private sponsors. 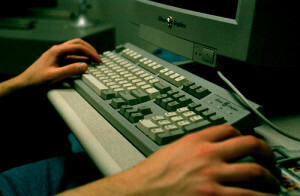 The website provides free advice on safe Internet practices for individuals and small businesses on topics such as avoiding online ripoffs, stopping identity theft, using your smartphone securely, and protecting your computer. The advice is applicable across a broad spectrum and is not strictly helpful to only U.K. residents. Image by NIOSH, used under its Creative Commons license.